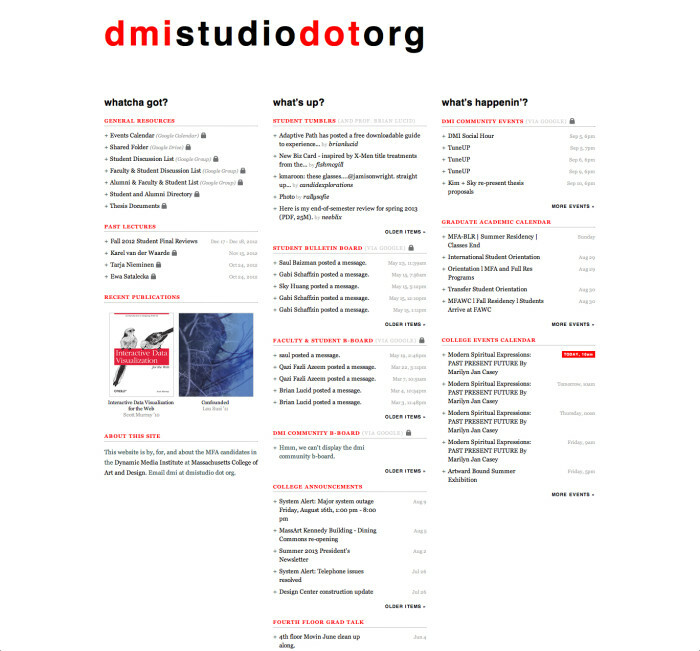 This is a student-run website for the Dynamic Media Institute graduate program at MassArt. Content is aggregated from a range of sources via RSS, including Google calendars, Google Groups, the college’s events and academic calendars, and Tumblr. It’s a dashboard of everything happening now(ish). 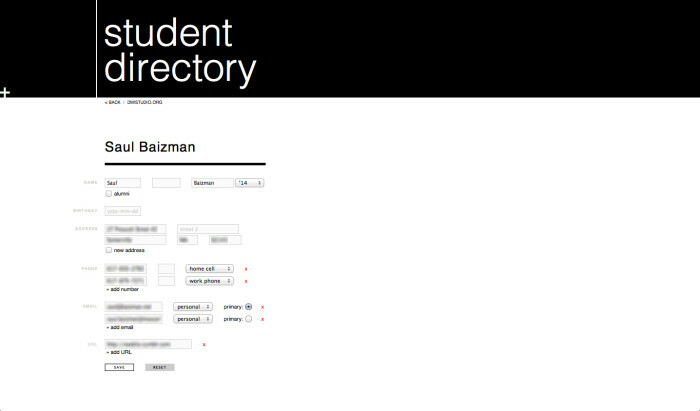 The site also contains a directory for current students and alumni to contact one another. View the directory entries by name, sorted alphabetically by first or last name. View the directory entries by graduation year. 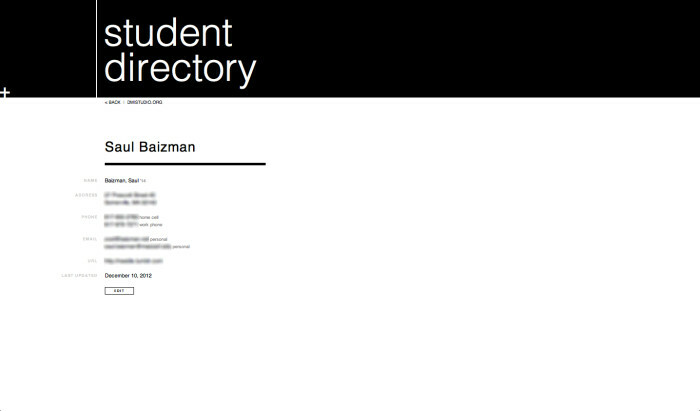 View the directory by address. Handy when multiple people live in the same location. View a single directory entry. View the directory entries by location on a Google map. Browse the thesis PDFs. 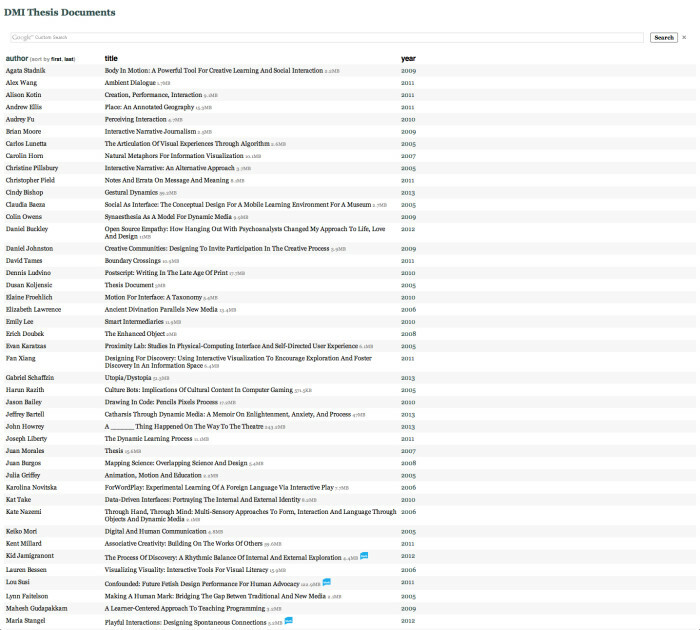 Hover over the titles to view abstracts.